Note: We're back on the 6th Ave. side of Bryant Park! 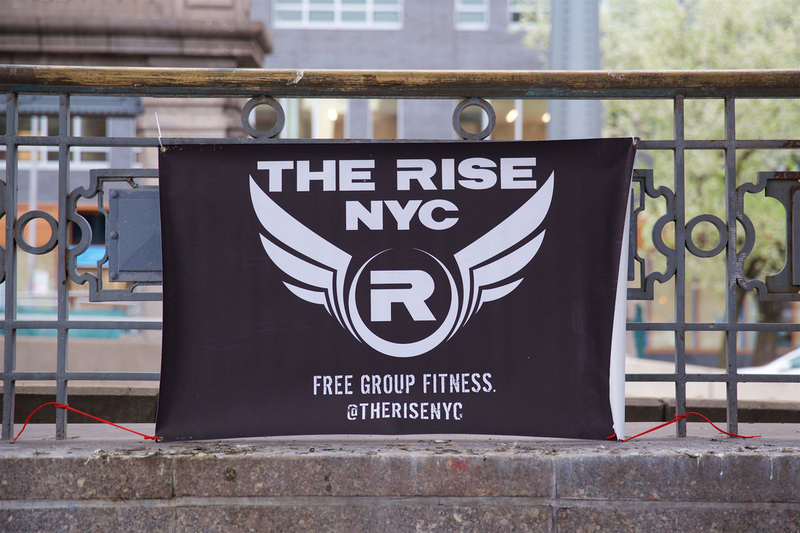 Rock your body with us at Bryant Park for FitClub. It's totally free and open to all fitness levels. You have no excuse to not come get fit with us! The workout features boot camp style core body work. Pushups and situps are par for the course. Look forward to some burpees, planks, twists, and lunges. There will probably be some Magic Mikes and Patty Parks to mix things up. Don't worry if you don't know how to do some of the exercises. Most exercises we do are demonstrated here, but they are easy to learn on the spot. Expect the proverbial burn and get ready to be sore for days. More importantly, you will meet some awesome, encouraging people. Get those high fives ready! Rise and shine, New York!